You did your research, built a site, and did the hard work of driving traffic to it. Now, does it mean it will automatically attract the right people? Do you just have to wait for conversions to find out? What about the 97% of visitors that won’t convert? The truth is, you can start learning about your audience the minute your site gets traffic. In this post, I’ll show how to evaluate the profiles of visitors at each stage of your website’s growth to make sure it attracts the right inbound leads. Before your site starts capturing emails or making sales, you want to get started learning whether your content and promotion tactics attract the right audience. Sure, you can use analytics platforms like Google Analytics or Amplitude to uncover the devices, locations, languages, and genders of your visitors, but those platforms won’t tell you if your visitors have the right profiles. At this stage, because of how little data you have, your best bet is Reverse-IP Lookup. A Reverse-IP Lookup means matching your visitors’s network IP addresses to organizations. For example, 173.247.192.6 is, apparently, Reddit’s San Francisco office. 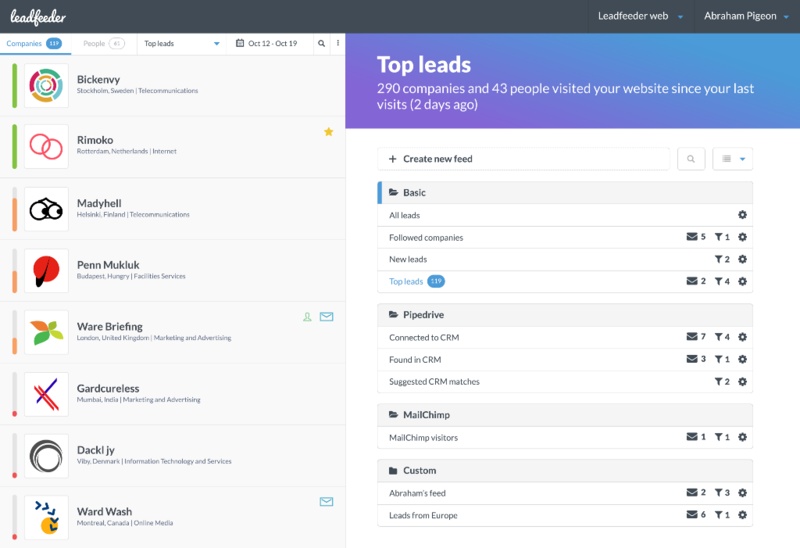 Services like Lead Forensics, LeadFeeder, and Clearbit Reveal will sift through your analytics to discover your site visitors’s employers. If you’re willing to put in some work, you can achieve similar results with Google Analytics data. Reverse-IP data can be really useful when you’re targeting businesses. It won’t help find the exact employees who visited your site (GDPR! ), but it can give you a first feel for your audience. Once your site is starting to get some traffic, I strongly recommend creating ways for visitors to subscribe, and give you, at the very least, their email addresses. This can be as easy as setting up a few signup forms, a MailChimp account, and creating a very basic lead magnet. Email signups will give you a sense of whether or not you can build an audience with your traffic. I probably waited too long before setting this up on the Lean B2B website. Today, I can still see the impact on sales and business growth. So… don’t do that. Once you’re starting to get email signups, you can use Clearbit Connect, Email Hunter, and LinkedIn to evaluate whether your content attracts the people you were hoping to target. As emails keep coming in, you can use platforms like TowerData Email Intelligence or Clearbit Enrichment to get macro insights on your subscriber lists. It’s not perfect, but this analysis gives me something to work with. Growing a site that converts means identifying topics that attract your target customers, evaluating whether the inbound leads coming in are any good, and then adjusting your strategy to improve traffic and lead quality. It’s a bit of a 🐔 chicken and 🥚 egg situation. That’s why having good data segmentation is key. Platforms like Highlights help you understand traffic patterns and conversions, but without proper segmentation, analytics will cause you to spin your wheels. To get over the hump, you need to figure out if the inbound leads converting are of the desired profiles. This means starting with the people that convert, going through their profiles, and evaluate the fit. How easy were they to close or convert? How much value did they get from the product? Are they engaged? Why did they decide to buy? Is that reason aligned with the reason why we’re selling the product in the first place? How much support and customization did they need to get set up? After purchase, were they willing to refer or recommend our products? If the people that convert, don’t feel like good prospects, rework your inbound strategy to attract the right leads. If it’s a good fit, formalize that definition and jump to the next phase. The better you understand your traffic, audience, and buyers, the more automation you can start using to replicate successes. Automation can be used to promote your content, contact users, and also evaluate inbound leads. 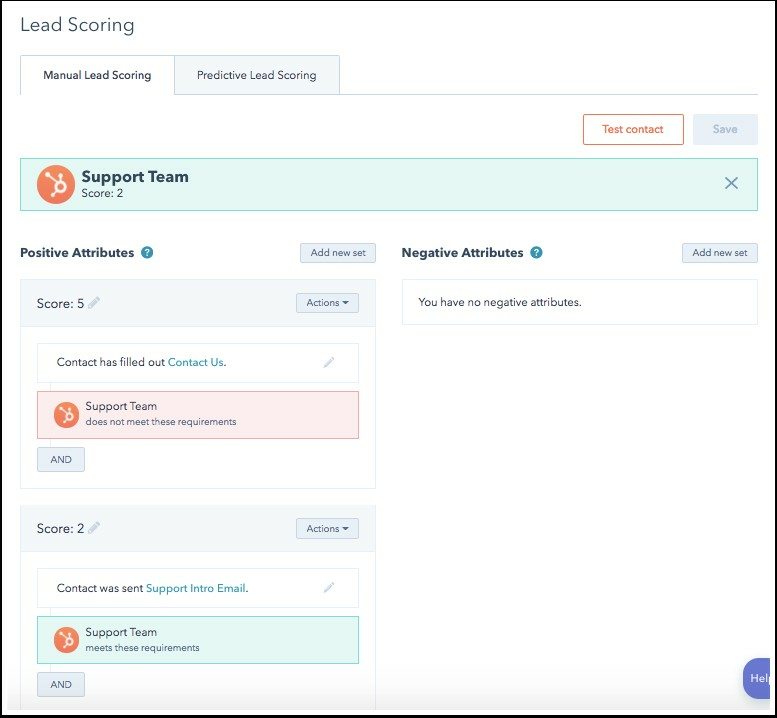 Platforms like HubSpot, ActiveCampaign, Marketo, and Pardot have their own lead scoring functionalities. Those features can help build recipes for evaluating visitors and signups. Contact you to get more information. Come from non-English speaking countries. To make good use of lead scoring, you need clear user profiles and a good sense of which profiles are most likely to convert. Note: We’ll dive deeper into analyzing the profiles of the people that convert in an upcoming post. Sign up to our newsletter to make sure you don’t miss out! Growing conversions and scaling successes requires a good feedback loop, and the best way to create a feedback loop is to ship content and experiment. If you don’t have traffic, build it out. If you’re not getting emails, grow signups. And if you’re not getting sales, focus on lead quality. The best way to achieve scale is to focus on one problem at a time. Start from the top and get learning. Enjoyed this story? 👏 Clap and get other people to discover it! Does Your Site Attract The Right People? Here’s How to Find Out Fast was originally published in Marketing And Growth Hacking on Medium, where people are continuing the conversation by highlighting and responding to this story.